So…I’m just trying to get caught up here… On January 1st, Benji celebrated his sixth birthday. I can’t believe my ‘baby’ is six. I’ll have to post some more of Grandpa’s pictures from this day. There were quite a few that had me **cracking up**! I promise to share soon. 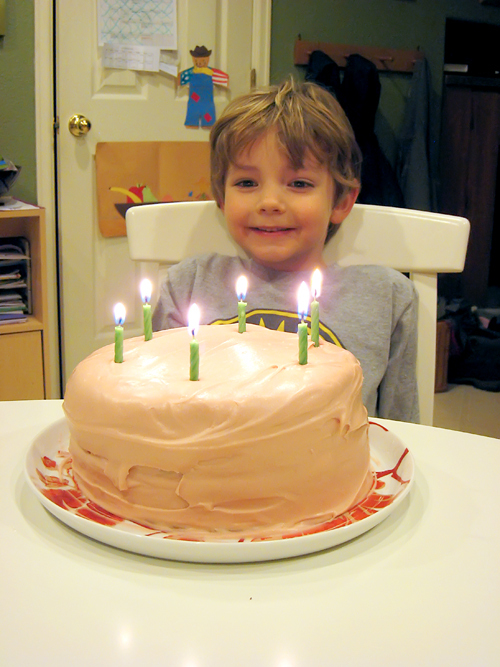 A yummy looking cake, and a happy looking 6-year old! No way. NO WAY! He just CAN’T be 6! He was such a little baby when I met you. Awww, Happy Birthday Benji! The 61/2 comment had me laughing…smashing cake…he loves pink, girl things and now John Lennon your a great mom! She was “four plus” for an entire year. Happy day to the B-man! oh he makes one cute lennon! love the pink cake! He is a great John Lennon! Love that picture! Happy Belated Birthday Benji! 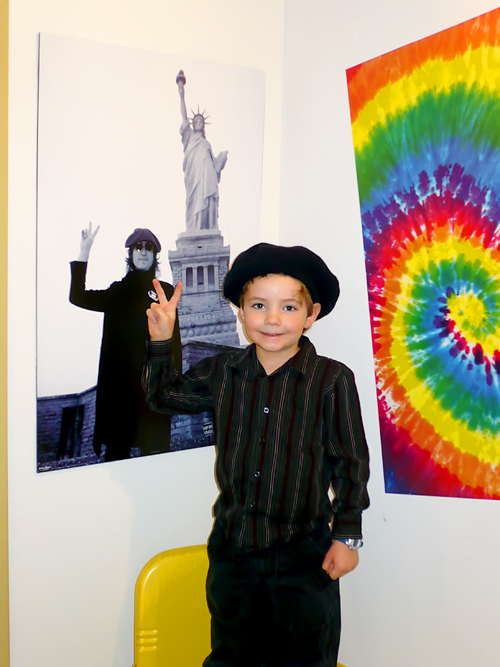 john lennon, be still my heart, what a great kid with great taste. cheers to you sweet benji! OMG, there is NO way your baby is 6!!!!!! He is adorable and as I have always said looks sooo much like his Mama! 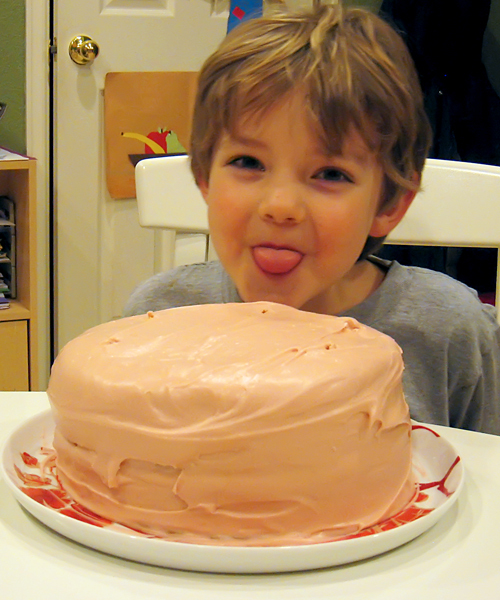 Love the pink cake too, Dylan’s favorite color was pink for a long time…now he has changed it to orange LOL! Wow! You have a new years baby? How cool is that? Happy belated day! Let him know his Aunt Holly loves him. Also, Madison will be sooooo jealous. She wants to be 6 so bad she can’t stand it. looks like a beautiful cake. much more beautiful than ethan’s cake. ethan’s cake was a chocolate mess. but it sure tasted good! Hello? Hellooo? Is this thing on??? ?